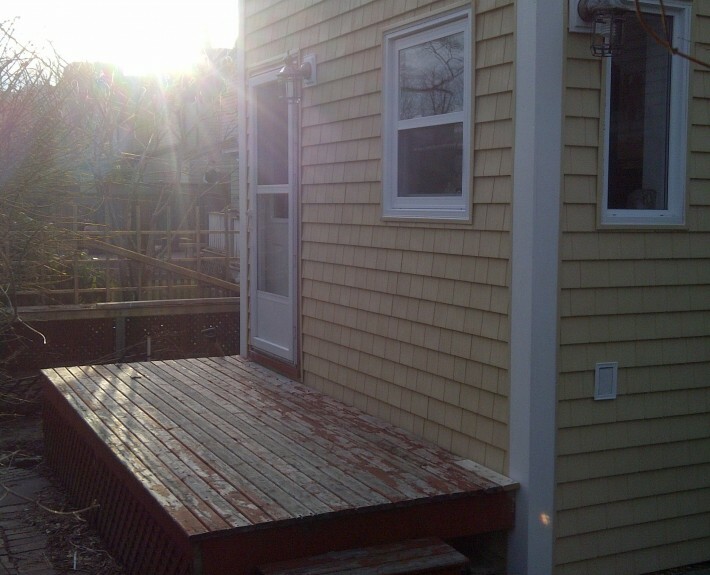 A small downtown back yard posed various obstacles on this project. 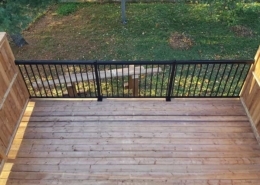 The old deck was simply a landing and a way to get in and out. 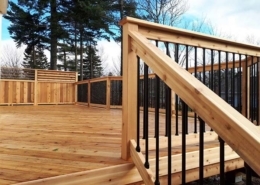 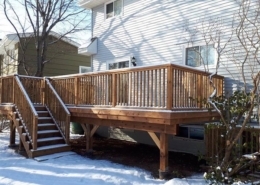 We were able to grow their usable back yard space by adding a stylish PVC deck with that wrapped all the way around the house. 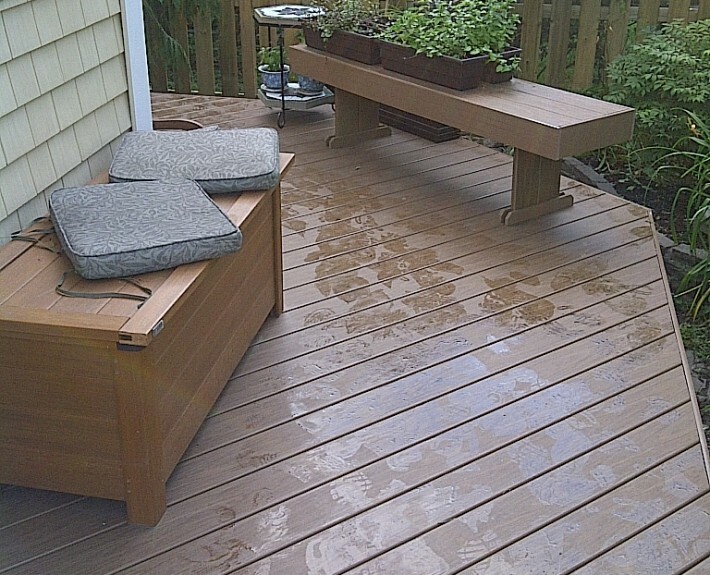 Leaving off the rail allowed the back yard to feel bigger and we completed with a PVC bench.